Dr. Paul Foxman, Ph.D., is director of the Vermont Center for Anxiety Care in Burlington, Vermont, where he is recognized as an expert in anxiety disorders, stress and relationships. His books on these subjects include “Dancing with Fear” (2007), “The Worried Child” (2004) and a co-authored casebook, “Conquering Panic and Anxiety Disorders” (2003). His latest book is “The Clinician’s Guide to Anxiety Disorders in Kids and Teens”(2017). In addition to his administrative and supervision responsibilities, Dr. Foxman maintains a therapy practice in which he enjoys working with youth and adults. 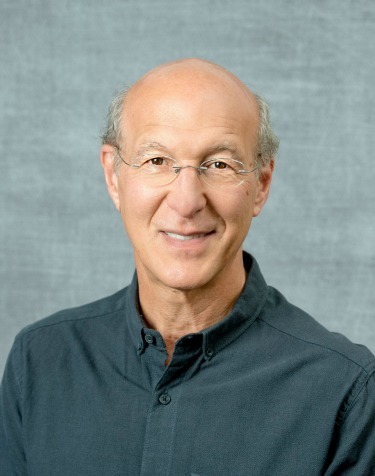 Dr. Foxman teaches internationally and has led hundreds of top-rated educational programs for mental health professionals, educators and other health care professionals. He has appeared on television and radio as an expert on the topics of anxiety and stress. As a teacher, Dr. Foxman is known for his knowledge and clarity, sense of humor, compassion and engaging speaking style. Dr. Foxman’​s education and training includes Yale University (B.A. in Psychology), George Peabody College of Vanderbilt University (Ph.D. in Clinical Psychology) and training at the Department of Psychiatry of Mount Zion Hospital in San Francisco, the Kennedy Child Study Center in Nashville and the San Francisco Psychoanalytic Institute. In 1985 he co-founded the Lake Champlain Waldorf School in Vermont, now flourishing from kindergarten through high school. In his therapy practice, Dr. Foxman accepts all health insurance, including Aetna, BCBS, Beacon Health, CBA, Cigna, FirstHealth/Coventry, Medicaid, Medicare, MHN, MVP, Tricare, Optum, United Behavioral Health and ValueOptions. Kathryn Hansel is a Vermont-licensed clinical mental health counselor and a certified wellness coach. She has extensive experience working with children, adolescents, families and adults. Before shifting to private practice in Vermont, she worked in both medical and educational settings in Vail, Colo., and Kansas City, Mo. Her specialties and interests include anxiety, stress, relationships, depression, ADHD, executive functioning, chronic pain, sexual trauma and personal growth. In therapy, Kathryn draws from many different modalities with the understanding that what works for one individual may not work for another. She has training in cognitive-behavioral therapy, mindfulness, acceptance and commitment therapy and dialectical behavioral therapy. In addition, she has a certification in wellness coaching and, when appropriate, she incorporates gentle movement, walking and breathing exercises in her therapy sessions. Kathryn promotes a holistic approach with her clients. She emphasizes that how we think and feel about ourselves significantly impacts our relationships. Kathryn invests in a collaborative relationship with her clients that allows for a deeper understanding of the possibilities for change and growth in therapy. Kathryn accepts the following health insurance: BCBS, Cigna, Medicaid and MVP. Dr. Sarah Harmeling, Psy.D., believes that emotional symptoms, such as anxiety and depression, are ways that our bodies and minds communicate with us. Working compassionately with all ages, she helps clients explore these messages and make changes to feel more at peace and content, as well as improve their relationships. Dr. Harmeling specializes in treating a range of difficulties, including stress, low self-esteem, relationship issues, trauma and parenting struggles. In addition, she has specialty training treating women who are experiencing pregnancy or post-partum anxiety or depression, helping to improve quality of life and the mother-baby bond during this exciting yet often difficult time. Dr. Harmeling’s work is rooted in psychodynamic and attachment theories, and she utilizes acceptance and commitment therapy, cognitive-behavioral therapy and Eye Movement Desensitization and Reprocessing therapy (EMDR) when appropriate. In addition to therapy, Dr. Harmeling provides psychological and neuropsychological evaluations for children. Dr. Harmeling received her doctorate in clinical psychology from the University of Denver and is currently working toward her license as a doctoral-level psychologist in Vermont under the supervision of Dr. Foxman. Dr. Harmeling accepts the following health insurance: BCBS, Cigna, Medicaid/Green Mountain Care and MVP. Allyson Kraus is experienced in working with children, adolescents and adults. She has specialized training in Bowen Family Systems therapy, and she is certified in the Gottman Method for couples therapy. Her skills also include cognitive behavioral therapy. Allyson is open to clients with anxiety, depression, relationship issues and trauma. 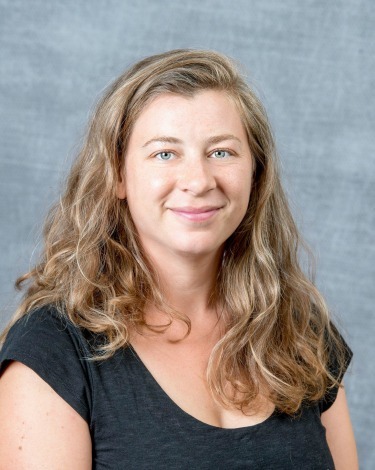 With her master’s degree in human development and family studies from Colorado State University, Allyson is currently working under the supervision of Dr. Foxman toward her Vermont license as a marriage and family therapist. Allyson accepts the following health insurance: BCBS, Cigna, Medicaid/Green Mountain Care and MVP. Chloe is a rostered psychotherapist working under the supervision of Dr. Paul Foxman. She works with individuals who are experiencing a range of issues, including general anxiety, social anxiety, panic disorder, depression, grief, adjustment disorders, relationship issues and spiritual concerns. Chloe’s approach integrates relational, person-centered, mindfulness-based and cognitive behavioral therapies. She believes that each person possesses an innate capacity to grow and heal, and that a safe, warm and compassionate therapeutic environment can facilitate that process. Chloe helps clients develop awareness of their relationship, cognitive and emotional patterns, and cultivate new patterns that generate well-being and help clients achieve their goals. ​Chloe accepts BCBS, Cigna, Medicaid and MVP and can make out-of-pocket arrangements. Lisa Pisani works with clients experiencing anxiety, depression, trauma, crisis, grief, societal oppression, and women’s issues. She also specializes in redesigning end of life for individuals in palliative and hospice care. Her goal is to help clients traverse challenges, discover healthy solutions, develop resilience, build coping skills and experience inner peace. In her gentle and healing environment, Lisa practices integrative therapy and addresses the mind, body and spirit connection. While rooted in psychodynamic and person-centered modalities, when appropriate she integrates mindfulness and meditation, narrative, solution-focused, cognitive behavioral and dialectical behavioral therapy. Lisa works under the supervision of Dr. Foxman. Lisa earned her master’s degree in clinical mental health counseling from Northwestern University with studies in children, adolescents, adults and family systems. As a member of the International Association of Counseling, Lisa honors the cultural identities and uniqueness of every client. Lisa accepts the following health insurance: BCBS, Cigna, Medicaid and MVP. Cheryl Shive specializes in working with children, adolescents and their families. She is skilled with behavior problems, anger management, foster care, adoption, anxiety conditions and depression. Cheryl uses a client-centered, strength-based approach to therapy utilizing treatment modalities such as cognitive behavioral therapy family and systems therapy, dialectical behavioral therapy and solution-focused therapy. As former director of a nonprofit Christian organization, Cheryl incorporates pastoral counseling when appropriate. Cheryl brings warmth and unconditional positive regard to her sessions, providing a safe and nurturing environment for clients. She looks forward to helping children and teenagers develop skills for managing stress and the challenges of growing up, as well as helping families strengthen their relationships. Cheryl is working toward her independent clinical social worker license under the supervision of Dr. Foxman. ​Cheryl accepts the following health insurance: BCBS, Cigna, Medicaid and MVP. Diane Tayeby has extensive expertise helping clients heal from trauma, anxiety, depression and stress through a variety of modalities, including narrative, cognitive-behavioral, mindfulness-based, dialectical behavior therapy, animal-assisted, expressive arts and play therapy. She works through a multicultural lens and spent six years working with first responders, veterans and refugees in the Middle East for the non-profit organization Africa and Middle East Refugee Assistance. Diane works with children, adolescents, adults and couples, and has prior private practice experience in Cairo, Egypt, and Keene, N.H. She received her master of arts degree in mental health counseling from Antioch University New England, and is currently working toward mental health counseling licensure under the supervision of Dr. Foxman. Diane accepts the following health insurance: BCBS, Cigna, Medicaid, MVP and self-pay. Camille Thomen-Brown is an independently licensed clinical social worker who is passionate about working with children, adolescents and families. Camille specializes in working with early childhood concerns regarding anxiety, impulsivity, emotional regulation, school behaviors, family and relationship issues, life transitions and post-traumatic stress. She employs an attachment and developmental approach to support parents in recognizing and responding to their child’s unique needs. Based on the needs of each client, Camille draws from different modalities, including family and systems therapy, trauma-focused cognitive behavioral therapy and play therapy. Camille believes that children utilize their play activities and behaviors to communicate to adults how they are feeling and experiencing the world around them. Camille encourages children and adolescents to tell their stories and experience a therapy environment that is caring, nurturing and safe. Camille accepts all health insurance, including Aetna, BCBS, Cigna, Medicaid, Medicare, MVP, UBH and plans that cover military dependents. Audrey Winograd is a clinical social worker with more than 25 years of experience with chronic illness and disease, depression, anxiety, identity issues, aging and disability, neurodegenerative memory and movement disorders, grief and loss (including pet loss and liaison with animal assisted therapy), chronic pain and caregiver support. Audrey began her career working with children and operated a day care facility, and she now also enjoys working with young and mature adults, teens and parents. As a client, Audrey meets you where you are: a unique individual with personal goals and a built-in capacity to achieve optimal functioning. You will find Audrey to be warm, caring, sensitive, fully present and tuned in. In her individual counseling she uses a strengths-based, person-centered approach and incorporates cognitive-behavioral therapy (CBT), narrative, relational, mindfulness meditation and psychodynamic models of care. Audrey also offers group therapy and support groups for teens, caregivers and parents, using our large, lake-view group room. Audrey will guide and encourage you on an exploratory journey toward growth and meaningful living. Audrey works under the supervision of Dr. Foxman. ​Audrey accepts the following health insurance: BCBS, Cigna, Medicaid, Medicare and MVP. Derek Zwyer creates a warm, genuine therapeutic environment to help individuals feel safe exploring the connections between current challenges and past experiences. He works with issues related to low self-esteem, depression, trauma, relationship problems, intrusive thoughts, identity issues, social anxiety and repetitive behaviors. Derek uses specialized training in the Adaptive Information Processing model and EMDR therapy in his work with trauma and PTSD symptoms. His skills also include cognitive-behavioral therapy (CBT), mindfulness-based therapy, psychodynamic psychotherapy, motivational interviewing, narrative therapy and strengths-based therapy. In addition, Derek offers group therapy in our lake-view group room. Derek has experience working with teens, adults, couples and families, and has openings for clients of all ages. Derek graduated from Tulane University with a master’s degree in social work and a certificate in family practice. He currently works under the supervision of Dr. Foxman toward his Vermont license as an independent clinical social worker. Derek accepts the following health insurance: BCBS, Cigna, Green Mountain Care, Medicaid and MVP.